Few steps to send the Check out to your portals! 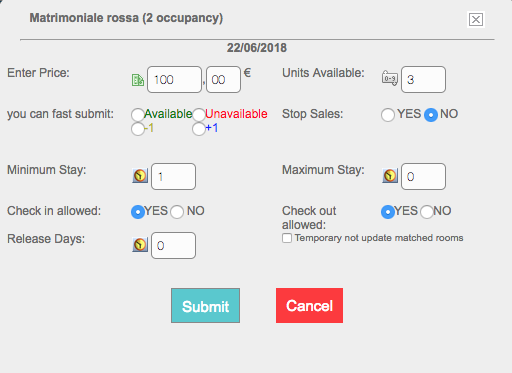 Insert a restriction in order to manage the check out for your guests. For example: if you do not have receptionist available on a specific date you can put the check out block. Insert the desired value in the box Check out allowed and click on Submit.